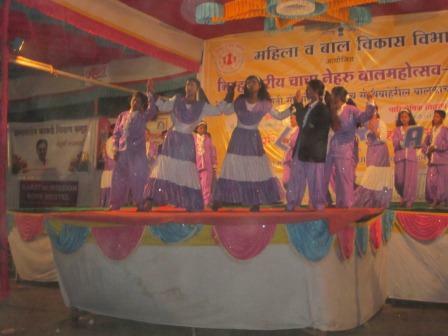 Ahmednagar’s District Women & Child Development (DWCD) ministry organized a joyous celebration from 2nd Feb. to 4th Feb. Thirty school-children from Snehalaya participated in the solo dances, group dances, traditional games like Kho-kho, Kabaddi, as well as athletics, ball–throwing and drawing competitions, enjoying three fun-filled days with their peers. 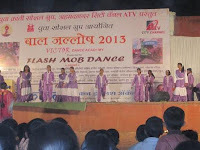 On 2nd February, Ahmednagar’s Yuva Social Group, in collaboration with the Victor Dance Academy, organised a wonderful cultural program from 3:00 p.m. until midnight with over a thousand students having a great time singing, dancing and also enjoying the Magic Show. 92 children from Snehalaya participated - commencing with the inaugural song of 'Satyamev Jayate'.